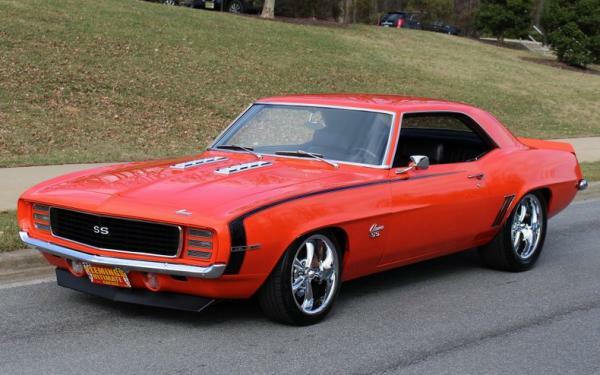 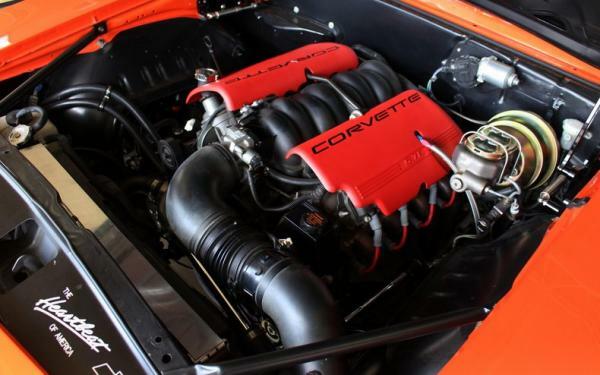 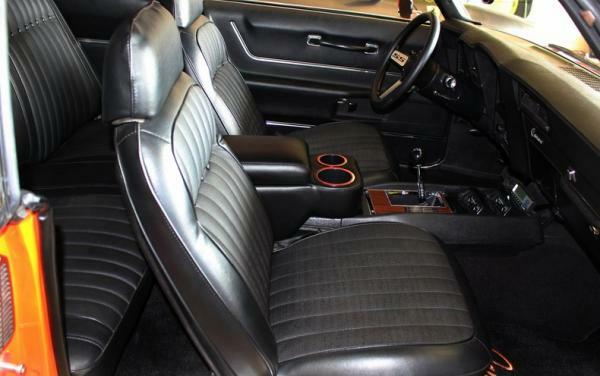 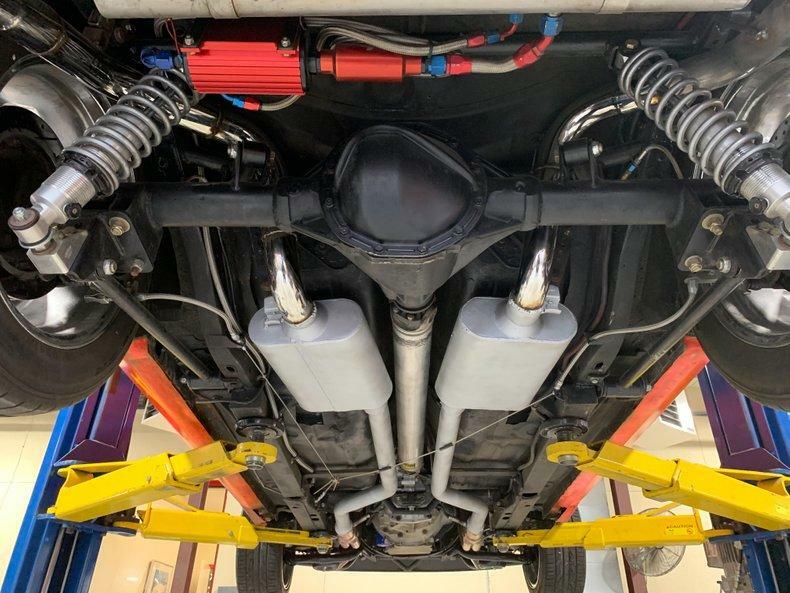 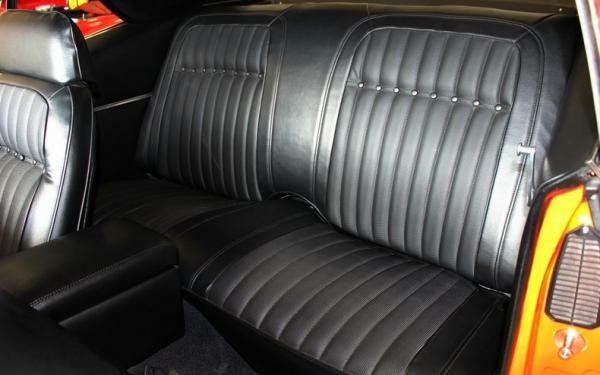 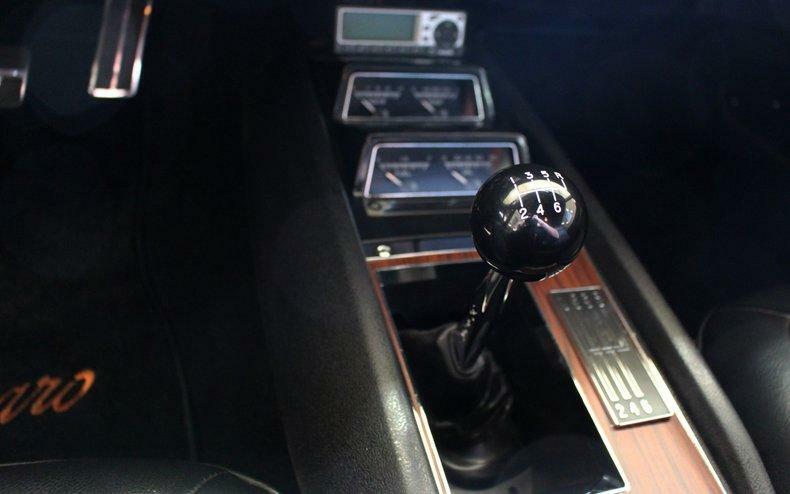 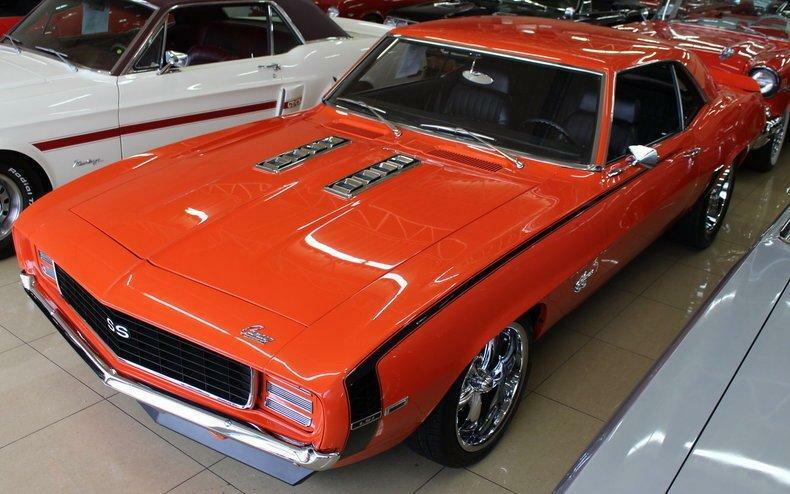 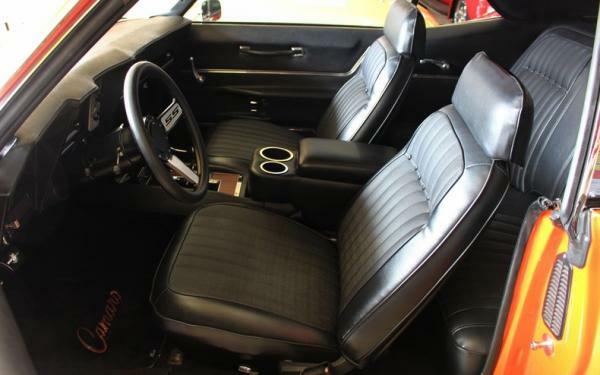 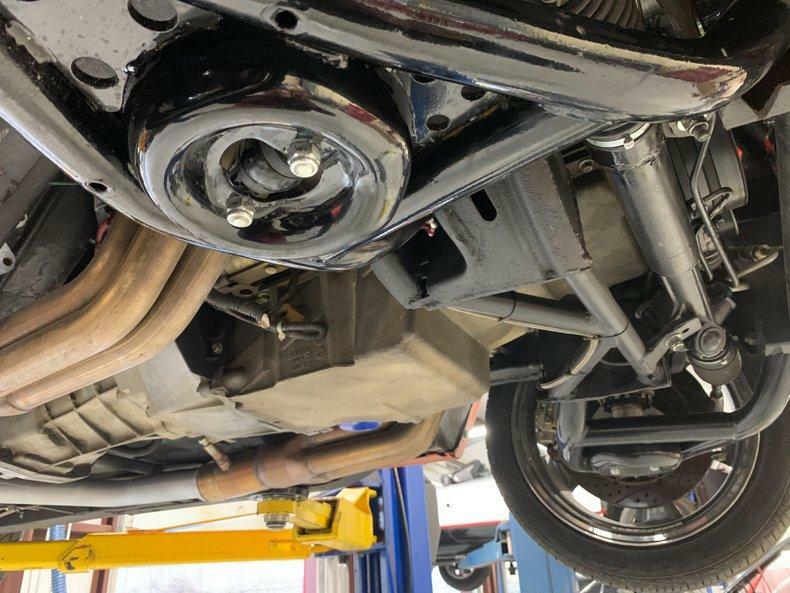 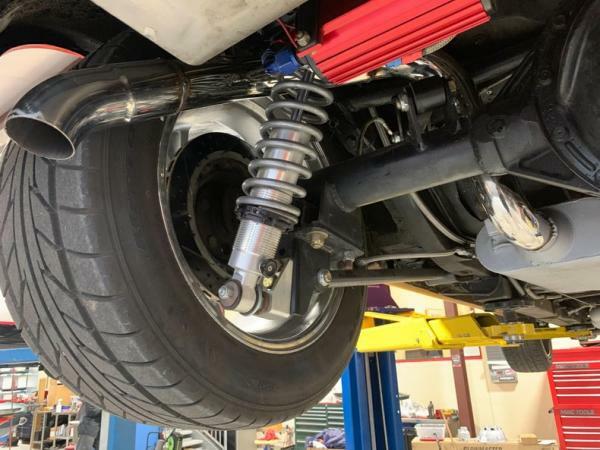 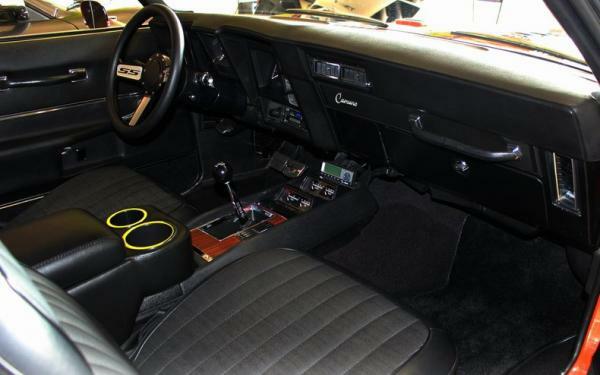 "1969 Chevrolet Camaro LS1 ProTouring • Spectacular $125K no-expense-spared professional build with modern performance and luxury upgrades with only 750 miles!!! 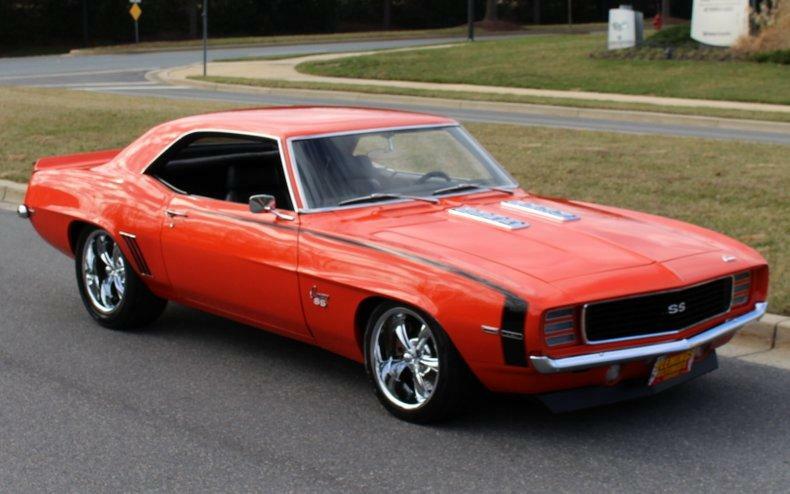 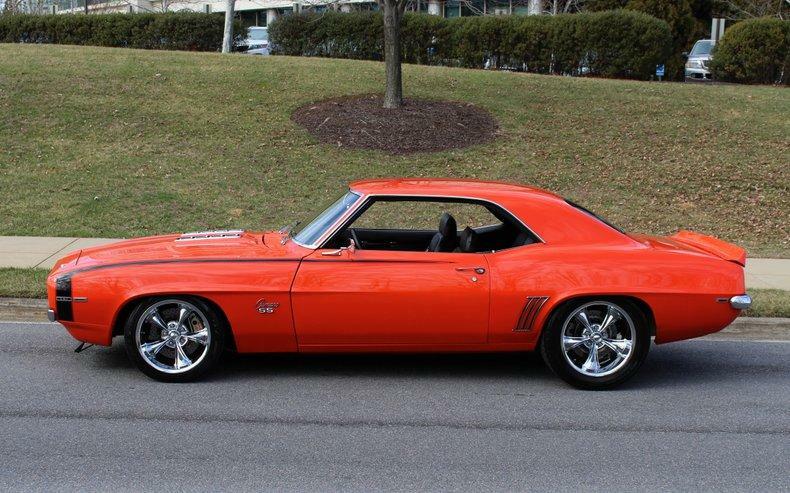 • Chevrolet Fuel Injected Aluminum LS1 V-8 • Upgraded Cold Air Intake • High-Capacity Radiator with dual electric fans • Tremec T-56 6-speed manual transmission with Hurst Shifter • Heavy Duty 12-Bolt Rear Differential • Mirror Finish Correct ""72"" Code Hugger Orange paint with Black SS Stripes show waxed & detailed • Iconic RS Front End and Rear End • Front Chin and Rear Spoilers • New Deluxe Black Bucket seat interior with full custom console and cup holders • Custom Dash with Dakota Digital Gauges including 8K RPM Tach 160MPH Speedo + Console Gauges • Optional Woodgrain Interior Console Trim • Billet SS 3-spoke steering wheel with tilt column • Ice-Cold Air-Conditioning and Modern Heat from ""Vintage Air"" systems • Retro sound AM/FM/AUX/SAT Stereo + Premium Speakers • All New Door Panels Headliner & Carpets • Great looking Chrome & Stainless Trim • Billet Window Cranks • Show ready detailed engine compartment • Detailed Trunk with custom mat • 4-wheel Power Disc Brakes with Cross-drilled & Slotted Rotors + Bear Front Calipers • Fast-Ratio Rack & Pinion Power Steering • Staggered 17"" & 18"" Ridler Chrome 5-spoke wheels with High-Speed Nitto Radials • Great Sounding Header Back Exhaust System • LS1 V8 Power plant 6-speed manual Correct ""72"" Code Hugger Orange and a New Interior too! 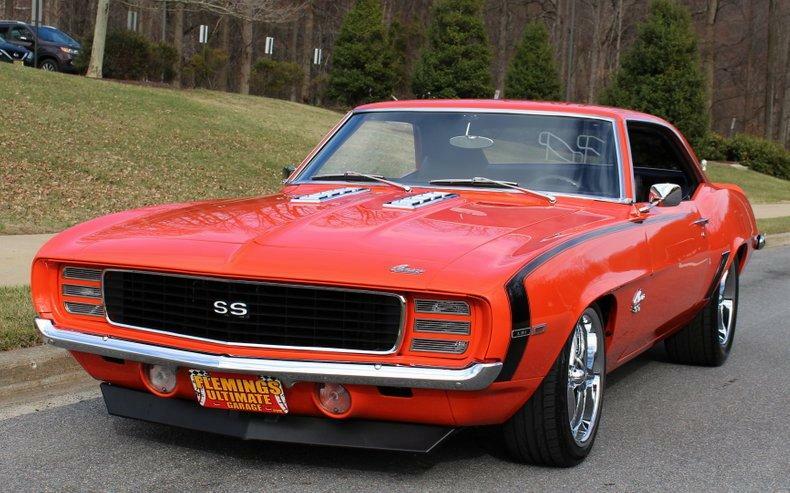 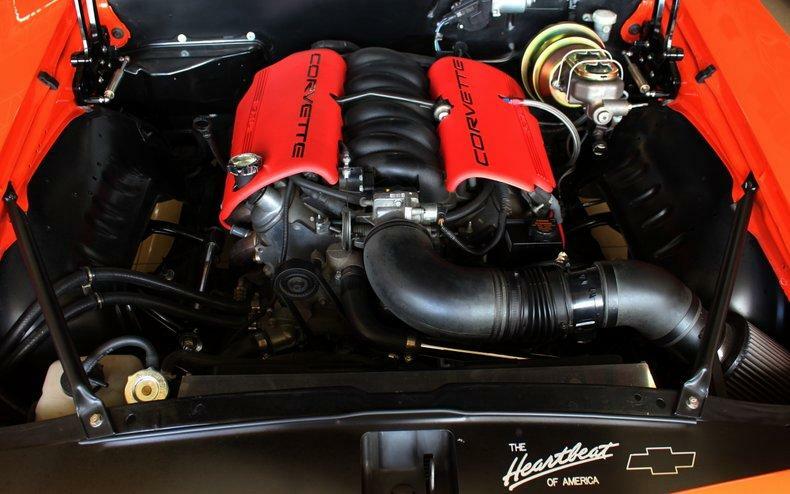 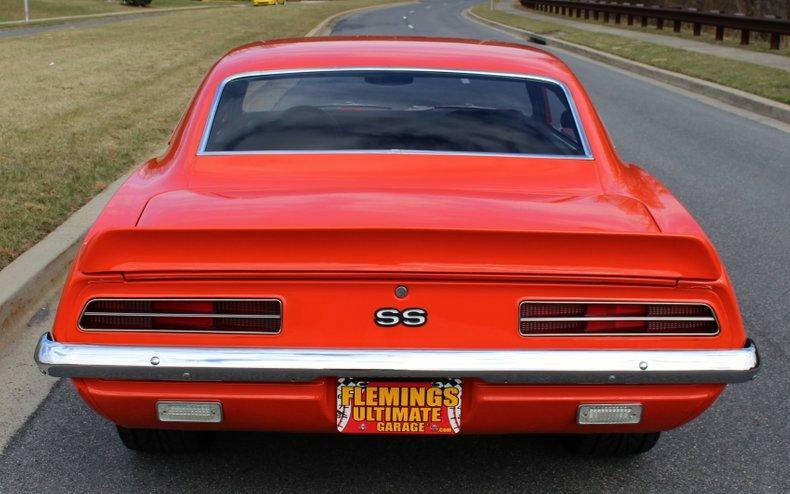 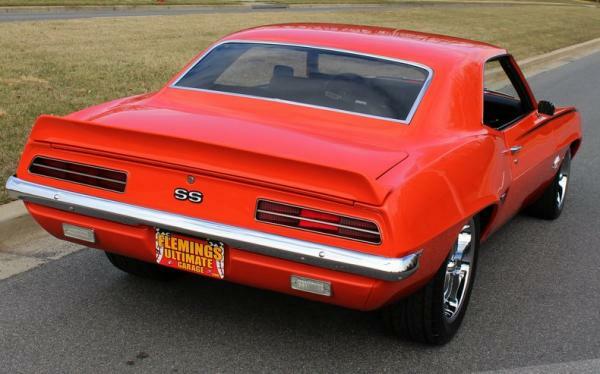 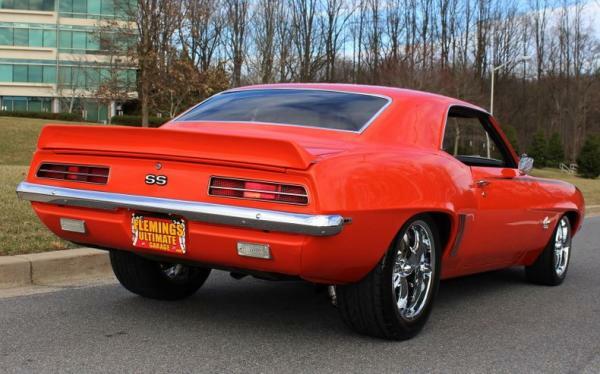 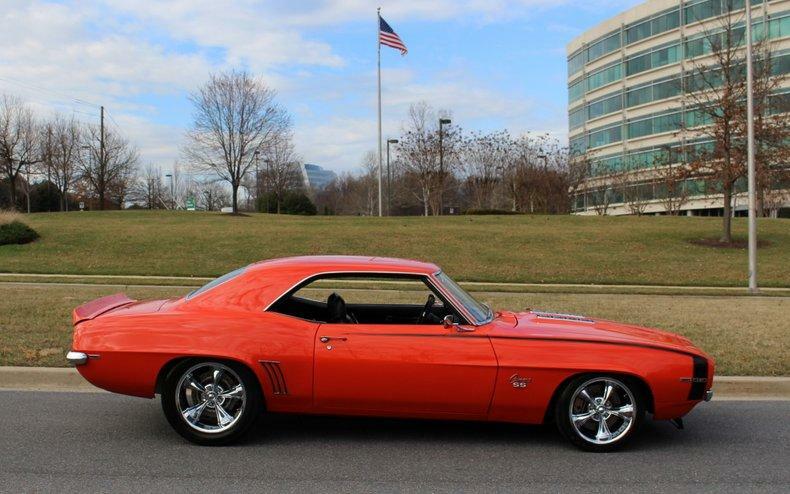 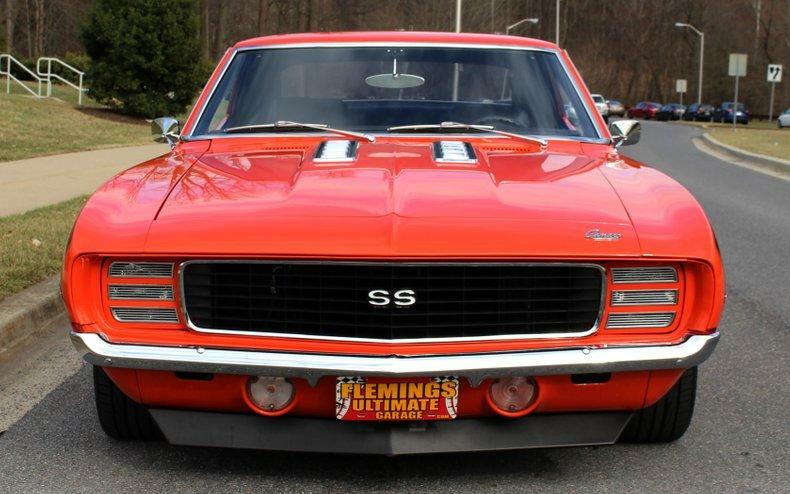 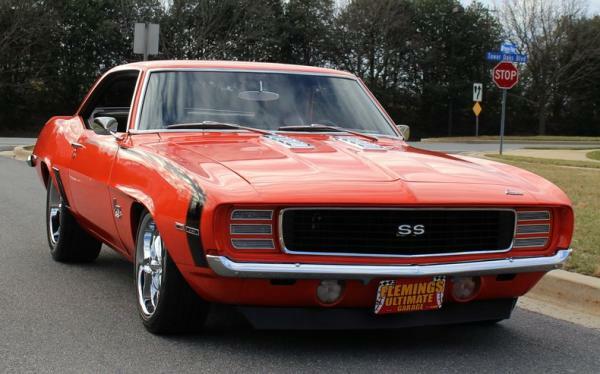 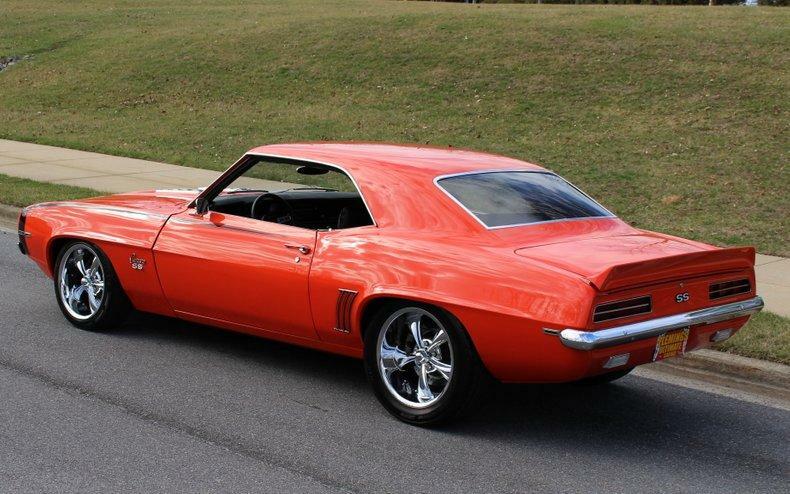 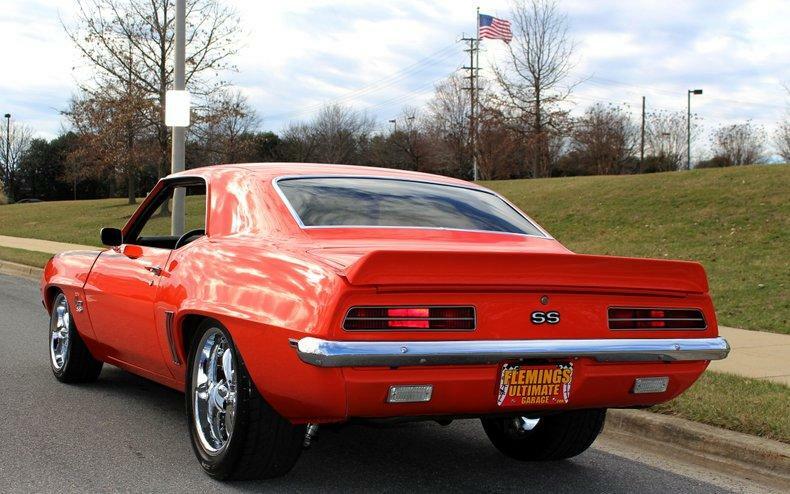 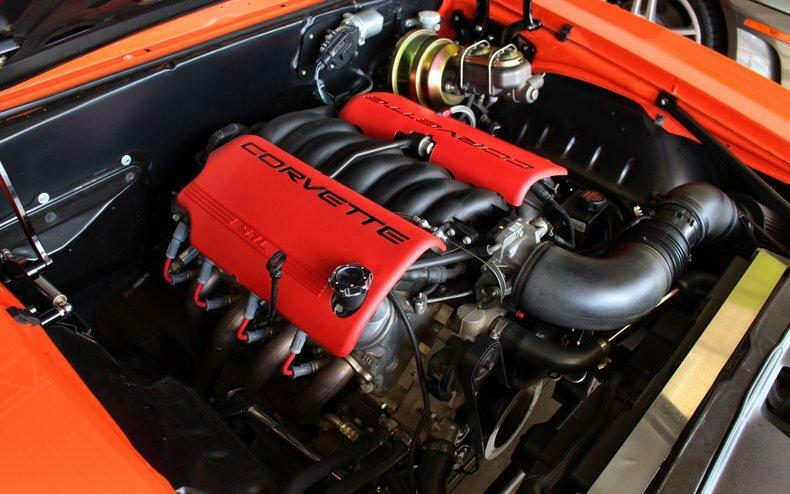 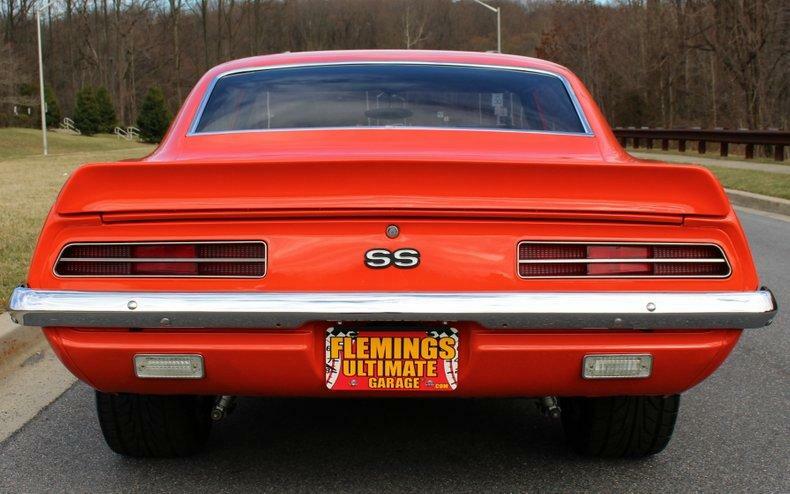 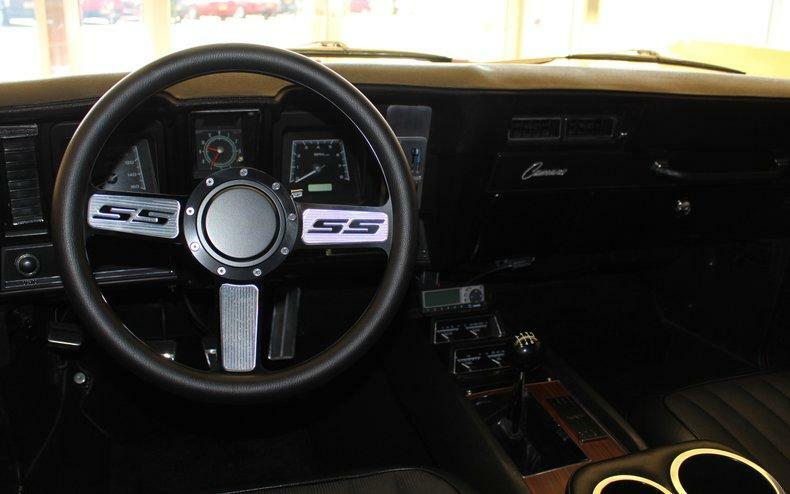 • This is how you buy a 69 LS1 Pro-Touring Camaro save a ton of money and not wait 3 years to drive it."